The friendly staff at Patient Care Now Urgent Care welcomes your call and looks forward to serving you. 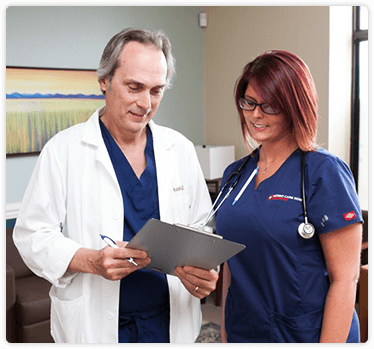 If you have any questions about our Fairless Hills urgent care services, please call our office at (267) 202-6433. For your convenience, we are open 7 days a week, 365 days a year. No appointment is necessary. You may call ahead to let us know you are coming or check in online for the fastest service. New Years Day - 8a-8p. In the event of a life-threatening medical emergency, call emergency medical services at 911 immediately. DO NOT WAIT! The emergency department of a hospital is fully staffed and equipped to handle life-threatening emergencies. Patient Care Now does not treat life-threatening emergencies. At Patient Care Now, we accept Workers’ Compensation, Medicare, Medicaid, most major insurance plans, cash, checks, and credit cards. See our Insurances page for the full list of plans we participate in.